I'm going to be super honest about this. I have completely fallen for this group over the past few months. Now to admit, I'm not a big indie rock fan or a rock fan to begin with unless you are talking about 70s and 80s rock that my parents listen to still to this day. Yet thanks to this fantastic group, I got a ear opening experience unlike I have never heard in a long time. This group is so underrated that it is killing me. They are competing to gain some ground in a already swamped entertainment industry but I really think they have the talent to have great success. I happened to stumble across this group while on my vacation to Tokyo back in April of this year. 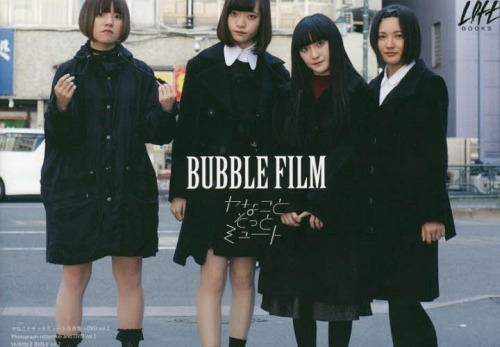 I saw that their full debut album "BUBBLE" was featured in the new release section at Tower Records in Shibuya of course. I picked it up to listen to because I was very drawn in by the cover work of that album so I put on the headphones and proceeded to listen to the album in the store and was jamming out to this group (in my mind, not actually in the store itself) that was super unknown to me at that time. I kept listening to it and since I was going to Korea the following week I knew I shouldn't bring a CD with me through the rest of my trip. Little did I know that that would be a big mistake, but I did not forget about the music I heard from that album. 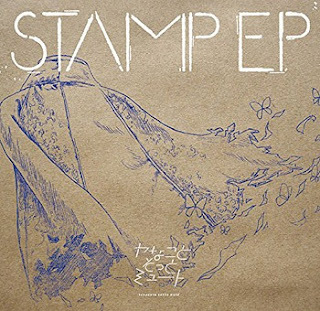 I happened to be listening to Spotify recently and got back into Japanese pop and discovered this group again and saw they had released a new single, "STAMP EP". As I began to listen to that single, I realized what I loved about that first listen to them a few months prior and was completely blown away. The past week or so has been full of this group. I've been blaring them at work, in my car, in my house in the dead of night. I've been just trying to listen to them everywhere and picking my favorite songs thus far from the group. Further in this article, I will put down my Top 5 songs and explain why I love them so much. So now that I have laid the groundwork for this, let me introduce them to you. 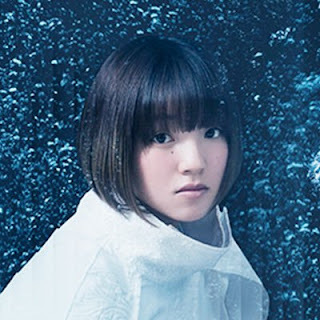 The groups name is Yanakoto Sotto Mute and they are a four member group. They were founded under DCG Entertainment in April of 2016. 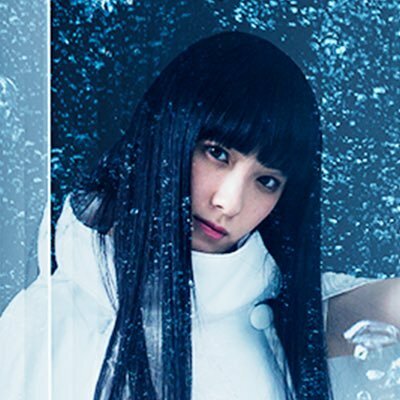 Their motto is (rough translation): I do not solve anything softly mute the daily life full of bad things, but I will try to sing a melody that does not turn into a rock sound for the time being. 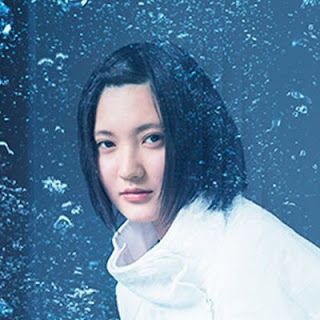 I'm not going to choose a favorite member of a four member group like them because that would be rude of myself to do such a thing, so I will choose all four as my oshimen. They are all pretty, right? I'm glad you see it the same. Yanakoto Sotto Mute has released as of October 2017: 2 EP (Extended Play) and 1 full album. For those of you who do not know what the Oricon Chart is, they rank singles and albums sales daily, weekly, monthly and yearly solely based on physical sales of their albums or singles. As you read those rankings you probably think that this group isn't good but let's take a peak at what the number one single/album at the time of release was. 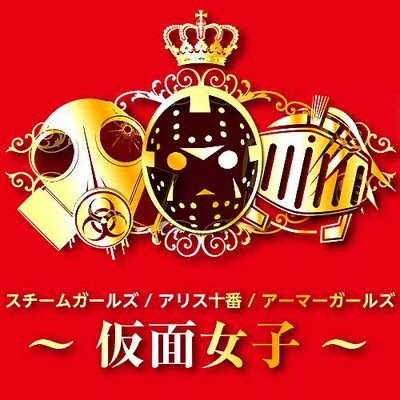 When Sealing EP was released, the number one single was by NMB48 titled "僕以外の誰か" or in English "Someone Other Than Me". So that was a hard single to go up against, especially since they are a 48 group. Let's check the album chart that "BUBBLE" was released on. The top album at that time was "Love, Piece and Fire" by Superfly. I'm not sure who Superfly is but it must be someone popular. Last but not least, on the Oricon singles chart for the week of August 28th, 2017, which placed "STAMP EP" at 194th place, the number one single at that time was "Family Song" by Hoshino Gen. Okay, now that one, I can understand as well. But still, the content of these three CD's have been nothing short of amazing. This is a photo book that comes with a DVD with behind the scene (the good stuff) footage from the photo shoots for this album. I really should purchase this in all reality. 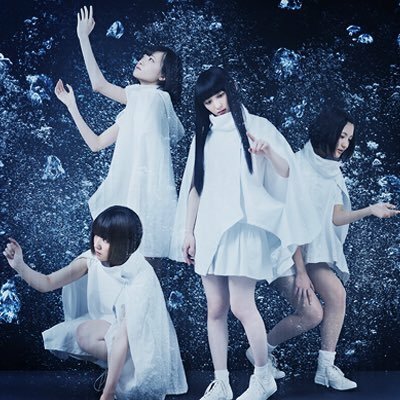 The group has released one LIVE DVD for their FINAL at Shibuya. As the title to this section of the article reads, I want to introduce my top five favorite songs that they have released so far and if that song has a music video I will place it there and explain why I like that song. So I hope you enjoy as it was very, I mean very hard to choose. 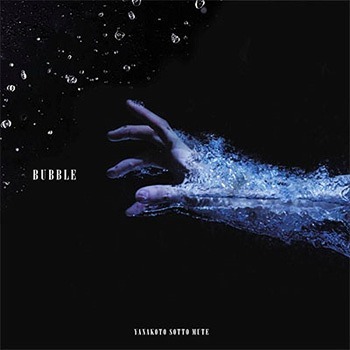 This song comes from their first EP, Sealing EP, as well as on their first album, BUBBLE. The reasons why I love this song are endless and it's a shame that it is only my number five. The cinematography of the video is outstanding, especially with the scenery on the beach and inside the house. The vocals are outstanding and it makes you want to keep listening to more from them. I translated the lyrics (Google Translate) to see what the song is about and it is very heartwarming. Trying not to lose memories of your favorite moments in life is the main theme of the song and as we get older and the friends or relationships that start to fade it is best not to forget the good times. Amen to that. Am I right? So the only video of this sing is from a LIVE they had back on May 8th, 2017. Credit for this video goes to 坂巻裕太 on YouTube. This song is from their latest EP, STAMP EP. Anyways, they look like they are having so much fun performing. I really enjoy the choreography of this song as it is simple yet elegant. As for the song itself, I love the differences in the light feel of the main verses and refrain followed by the heavy rock of the chorus. It brings a different feel to the table that you can just keep listening to over and over as I have done plenty of times. The vocals are really good to listen to. The last chorus is the part that really gets me with the held long note that is just pure bliss. Just like the previous one, I could only find the live version of this song and I credit this video to Eden alley. am I was released on their first album, BUBBLE. The reasoning behind choosing this song is because it kind of has that country rock that you would hear from a Luke Bryan or someone like that. Case and point, his new song, Light It Up. Sounds a little similar, right? Anyways, that is what I love so much about am I. It has that twist that someone from Oklahoma like myself would enjoy. The vocals are fantastic and they are very ballad-esque in the main verses until the chorus hits and then you get slammed with the rock vibes that drive you crazy (in a good way). This song is nothing compared to my number two. I absolutely love this song. It comes from their Extended Play, Sealing EP and featured also on BUBBLE. This music video is the first one they ever shot and it is quite good to say the least. This song is super ballad and I love that so much when it comes to a heartbreak song. The way they sing this song sounds like they are angels beckoning me and hoping that I was part of her horoscope (I can only dream). This track gives me the super chills and makes my hair stand on end. Also for some reason the song resonates with me and I want to cry a little bit while listening to it. 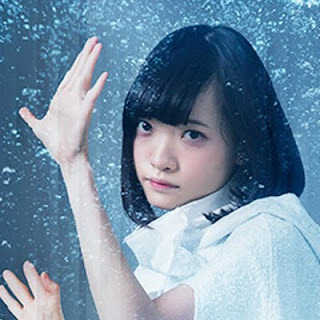 The last chorus really gives me goosebumps when the song stops for a split second and resumes with the guitar slide and high note by Nade-chan. I super, super love it but I'm disappointed it only is my number two. This song comes from their latest Extended Play, STAMP EP. Their are many a reasons why I love this song but I will only leave a few comments why. For one, the song is so upbeat that you could jam out to it wherever you see fit. It starts out super strong and uptempo that you keep headbanging. Also, try doing air guitar or air drums to this song. It can get a little crazy. All the members are looking ultra pretty in this music video as always but they shine a lot in this one. The vocals are outstanding with the main vocal being seamlessly back up by the others at some points. It is outstanding to listen to over and over. I have actually shown this one to my co-workers and they loved it as well. I hope you enjoyed my top five songs from the group thus far. I would like to know your favorites from them. Feel free to post yours in the comments below. I have a mad crush on this group now. I like them, like them. If you know what I'm talking about, we must be similar in ages. I face literally turned red when I watched some behind the scenes videos they did because I couldn't stop smiling and being a weird fanboy. This group is so talented yet so underrated. Their music is fantastic and they constantly put out great songs that make us want more until we can't take it any longer. Are you not sad that they have not ranked higher on the charts like I am? I hope they release something early next year but beggars can't be choosers in the land of idols. After all is said and done, I really wish and pray for their success in the future. They deserve all the love they can get. I will do my best to support them from here in Oklahoma, USA. From writing this to buying merchandise, I will do whatever it takes to make them get more recognition. If you live in Japan, please attend a concert of theirs if you can. I'll be super jealous if you do and buy some merchandise as I have to wait until my next trip to Japan to see them. *I want to leave this message to the members of Yanakoto as I draw this to a close. I will include a Japanese translated version and my original English one. I wish you all the best in the coming days, weeks, months and years. I want you to never give up and always look ahead. You all have a great future ahead of you, believe me. If times get tough, I hope you can rely on each other for company and support. As a fan, I honestly want you all to remain safe and healthy as you continue to perform in front of us. One last thing, have confidence in yourself and always look on the bright side of life. You can follow me on Twitter or feel free to leave a positive comment below. One Last Message: Always have confidence in yourself and have faith that when you hit a bump in the road we call life that things will always get better. Things happen for reasons we may not understand.